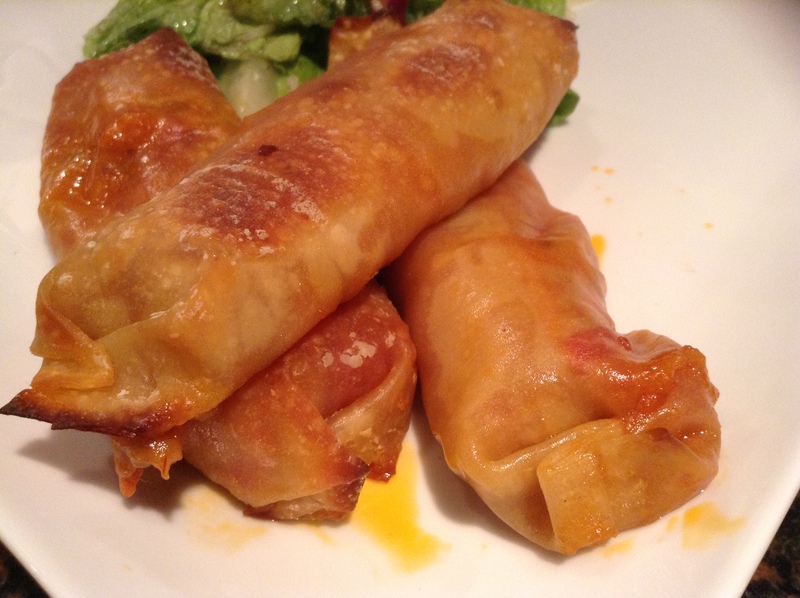 This recipe was adapted from Appetizers from Taste of Home. 1 whole package of pepperoni diced very thinly from Hormel. 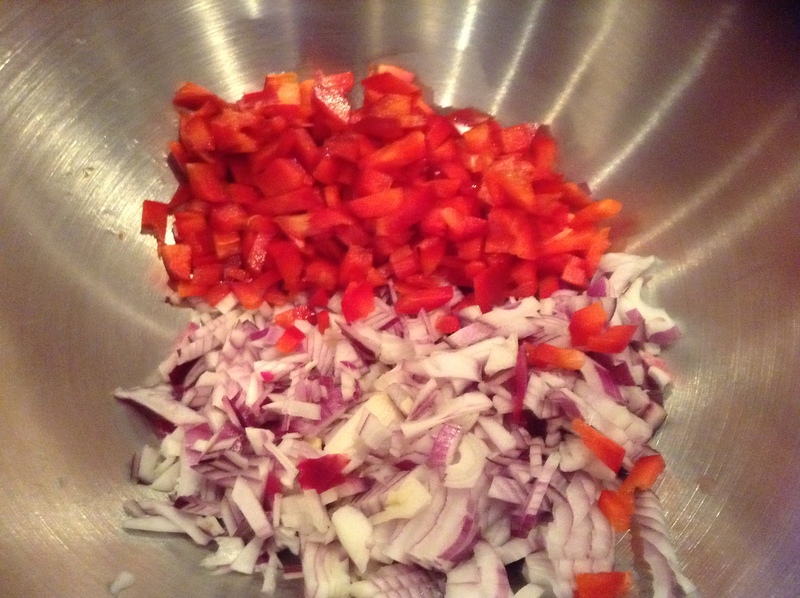 1 red pepper diced very thinly as well. 1 medium onion diced very thinly as well. Place the rectangular roulpat over the counter for easy filling and cleaning. 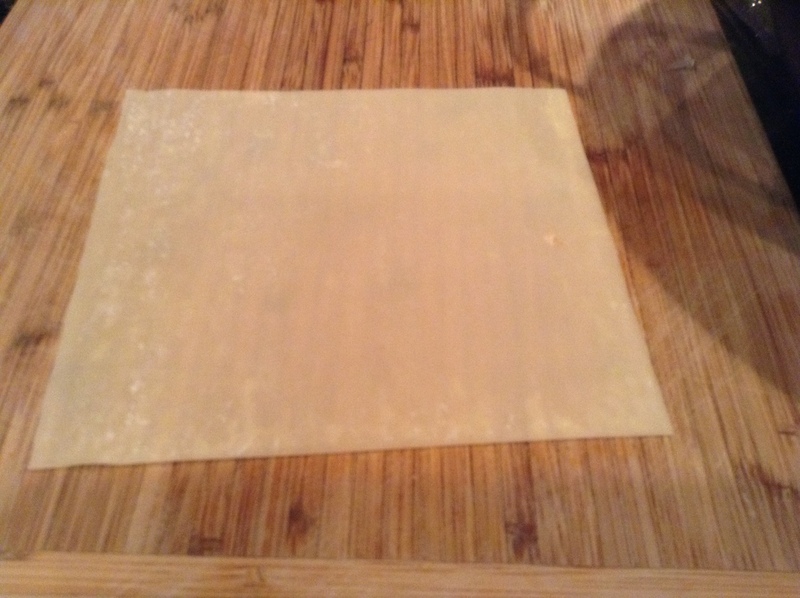 Place the wontons flat onto the roulpat. 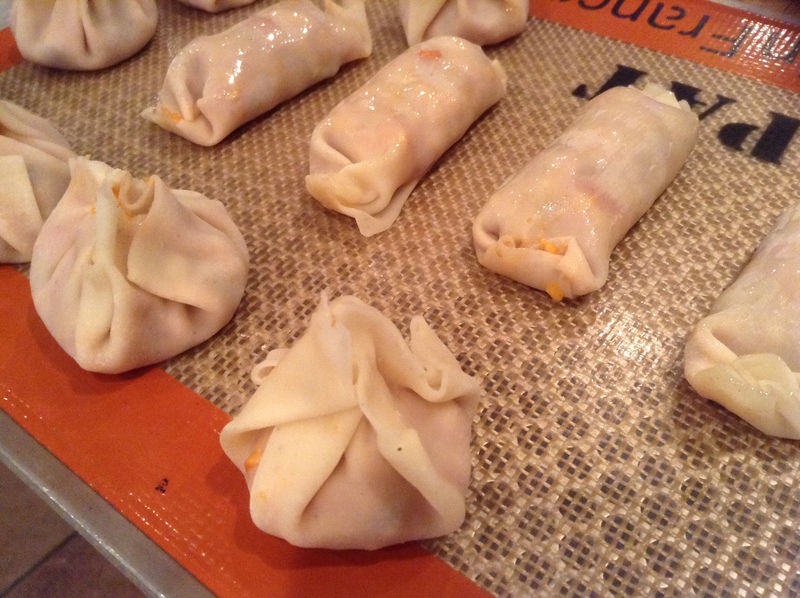 With a pastry brush, brush the outer rim of each wonton with water. 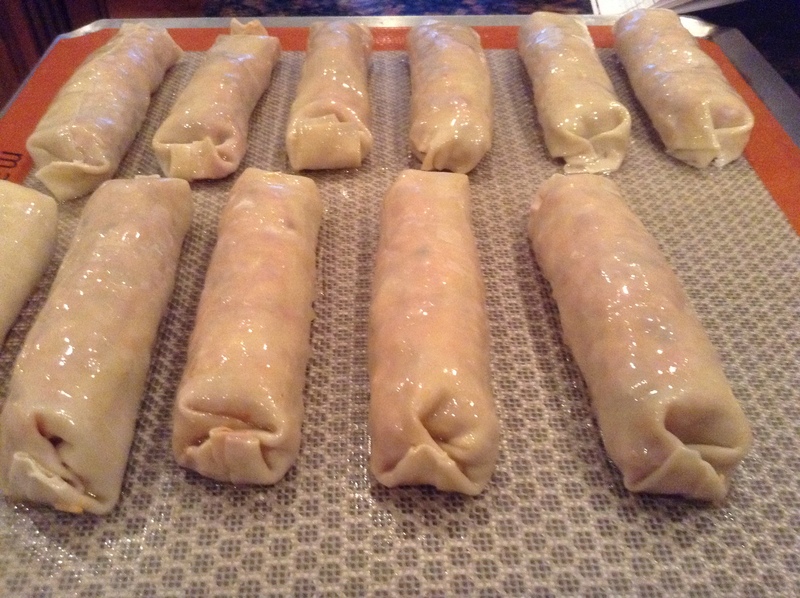 Place 1/4 cup of the mixture in the middle of each wonton, and only 1 tsp for the small wonton. 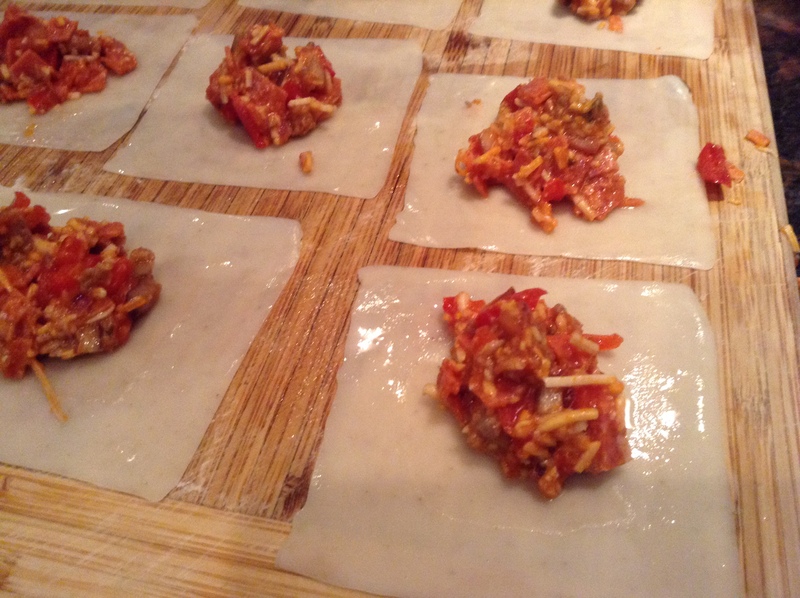 Roll the wonton over the mixture, and fold the wonton over to roll into a sausage. Fold the sides in to close the “pizza tube”. 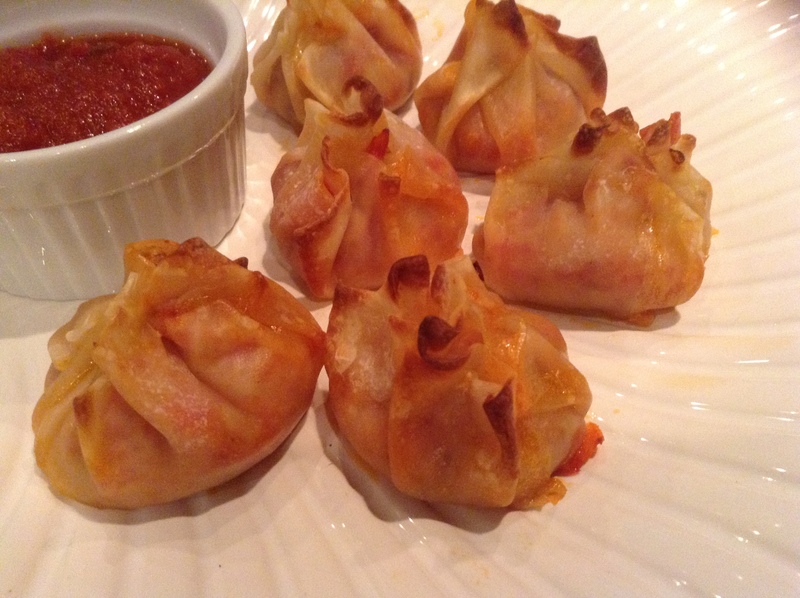 For smaller wontons, you can do the same, or you can press the sides together to make little purses. Place it on the large silpat that you would have placed onto a large perforated sheet. Repeat the steps until you have used all the mixture. With the same pastry brush, brush some olive oil over each wonton. Cook the pizza rolls in the oven for 12-15 minutes at 400. 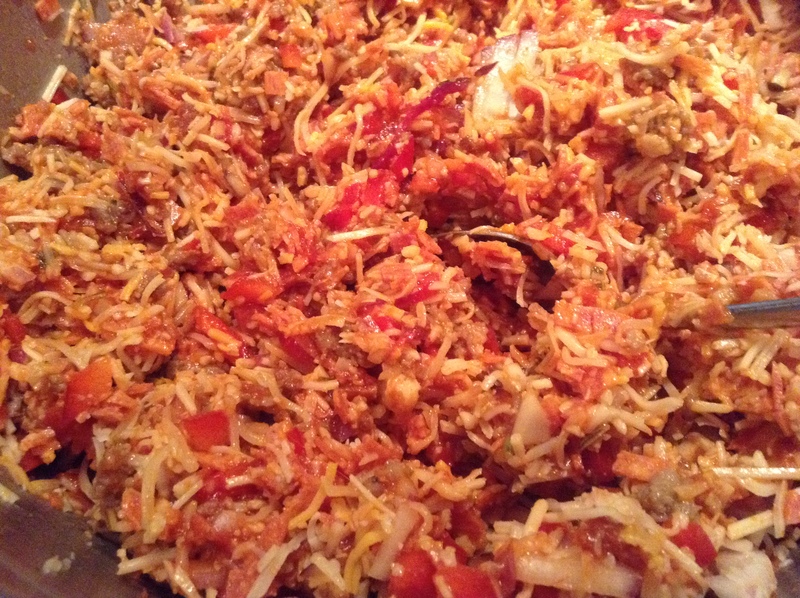 Serve with more tomato sauce. My son actually likes to eat them with ranch dressing. 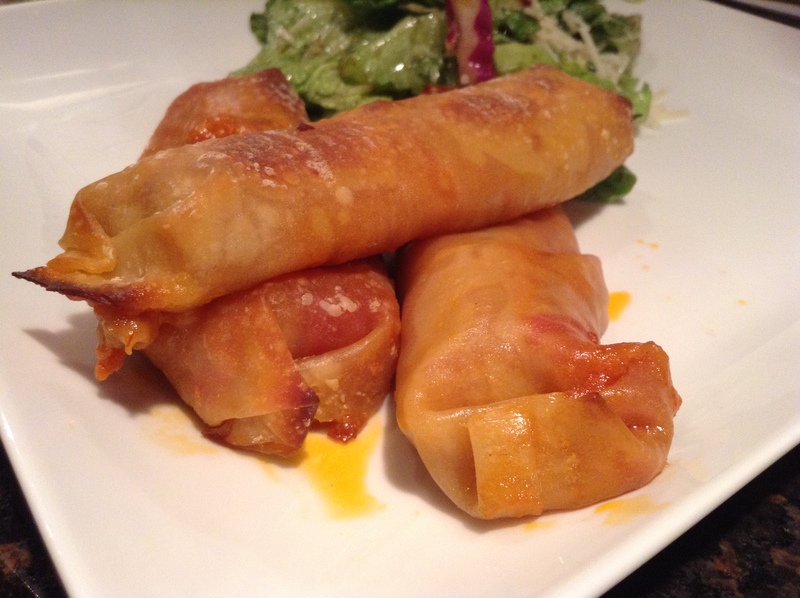 The combination is quite good, as the sauce counteracts against the spiciness of the pizza. Try it . It is very good!! !